The Ultimate in Backyard Fun Starts with a Doughboy Pool! For decades, Doughboy has been creating vacations in the backyards of families as the industry leader in above ground swimming pools. With a team of Doughboy pool professionals, Zagers helps you choose the perfect pool at the right price. Plus, we have expert advice, testing and chemicals to make it sparkle! 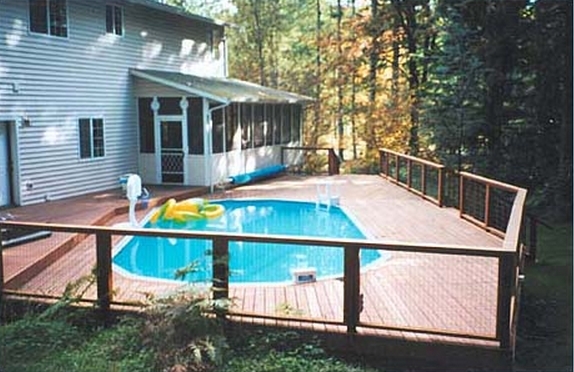 Start with the Pool Buyer’s Guide and then stop in to any of 5 locations in West Michigan or call us. Compare models in our outdoor pool showcases and get your summer started today! 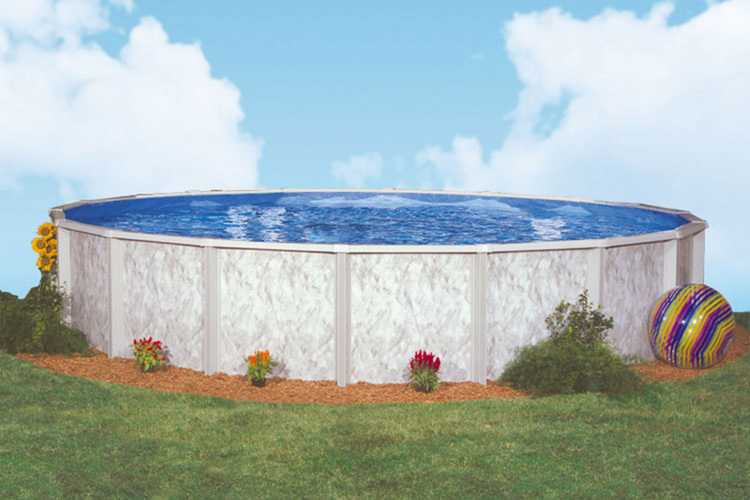 The options for above ground pools from Doughboy offer you the right size, style and construction to fit your backyard perfectly! Add a touch of carefree simplicity, with soft colors and graceful patterns that complement your backyard. Create a beautifully cool oasis in the summer sun! Resin or steel frames with the Com-Pac™ II Oval Support System deliver strength and durability for years of family enjoyment. Plus, Zinc Clad™ Coating provides unmatched protection against corrosion and abrasion. Pool sizes that are a perfect fit for your family fun! 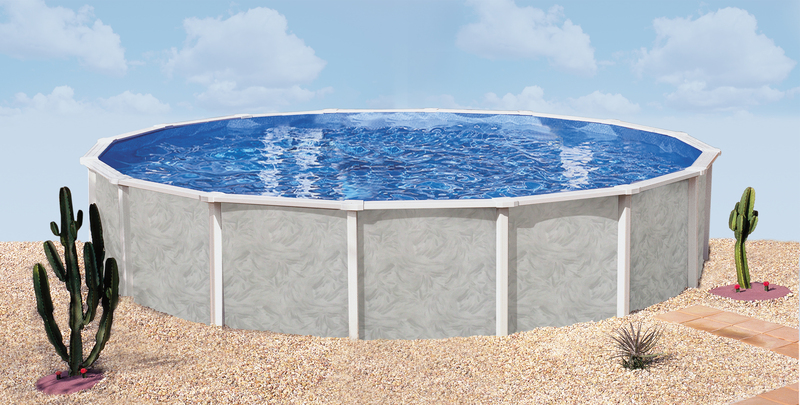 Round pools range from 12-ft to 32-ft in diameter; oval pools range from 12x20-ft to 21x41-ft.
Beautifully-designed walls with resin top-rails and verticals for a winning combination! Wide, 6” verticals give this graceful pool a strong resin frame. Sleek, 6-1/2” resin top rails are the perfect finishing touch. Available with 48” or 52” sidewalls. One of the most beautiful pools available anywhere! The soft-curved resin frame and beautiful pattern adds elegant simplicity to any backyard. Curved, 8” extruded top rails create a smooth finishing touch. Elegant vertical supports are 7”, for maximum strength and durability. Available with 52” or 54” sidewalls. 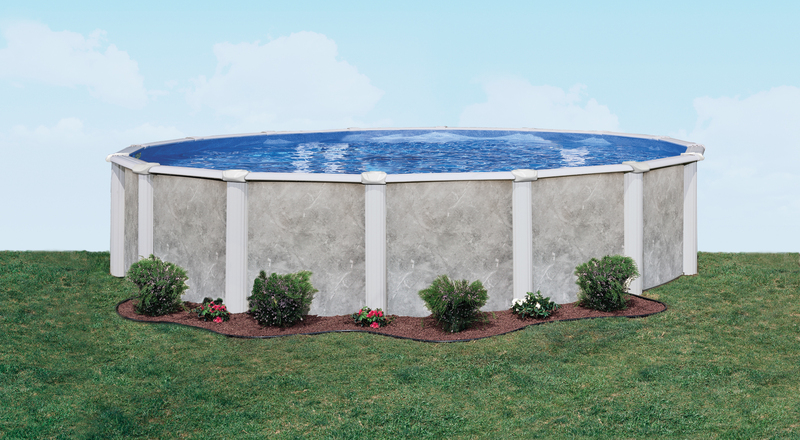 This stunning wall pattern with soft curved frame creates a luxurious feel — the perfect match for your backyard. With 8″ curved, extruded toprail with beautiful 7″ extruded resin vertical supports offers a dynamic design and assures maximum strength. Available with 52″ sidewalls. 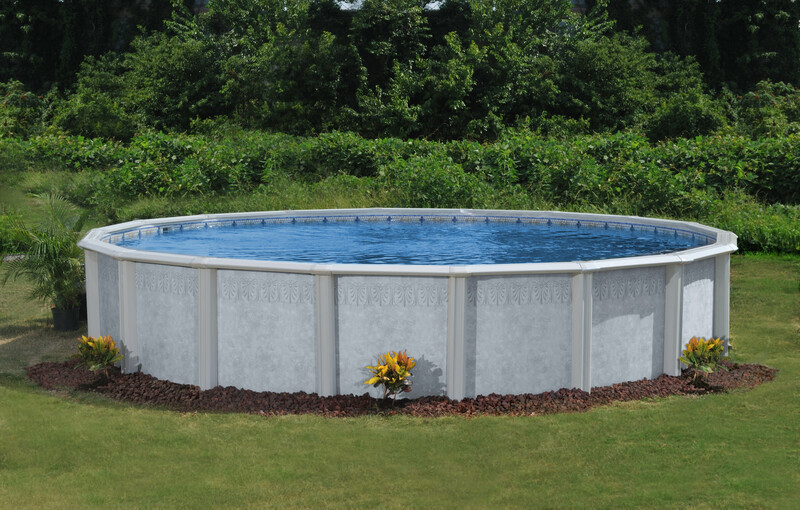 A stylish pattern with a rugged silvertone frame makes a sturdy pool that’s fun and fits in any backyard! The 6″ top rails and 3″ verticals eliminate the need for separate side and end rails making assembly even easier. Available with 48″ or 52″ Sidewalls. 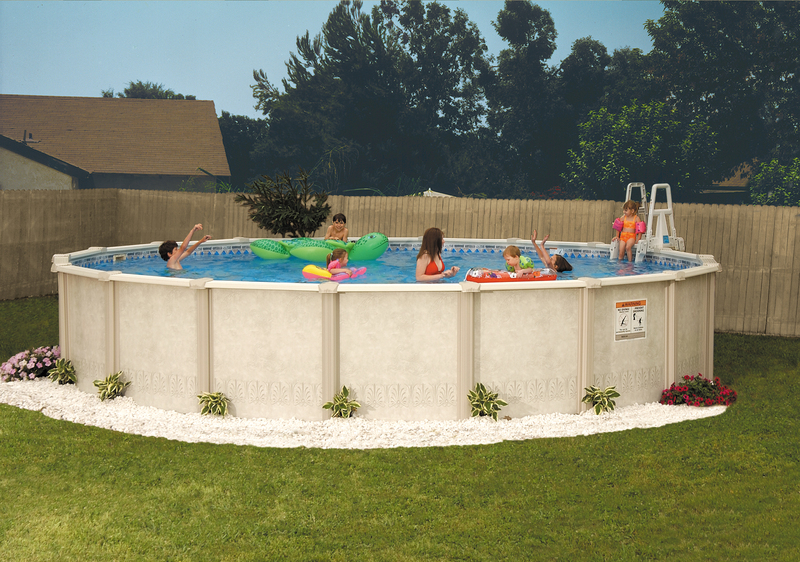 The 6″ steel top rails and 6″ steel vertical supports create a pool that is strong and built to last! Available in 52″ sidewalls. A breath-taking design! A timeless classic, this pool brings old-world elegance to your backyard with a sturdy steel frame. Wide, 7” Uni-fit™ top rails and 6” steel verticals provide full support for the top rails. Available in 48” or 52” sidewalls. The world’s most versatile pool! 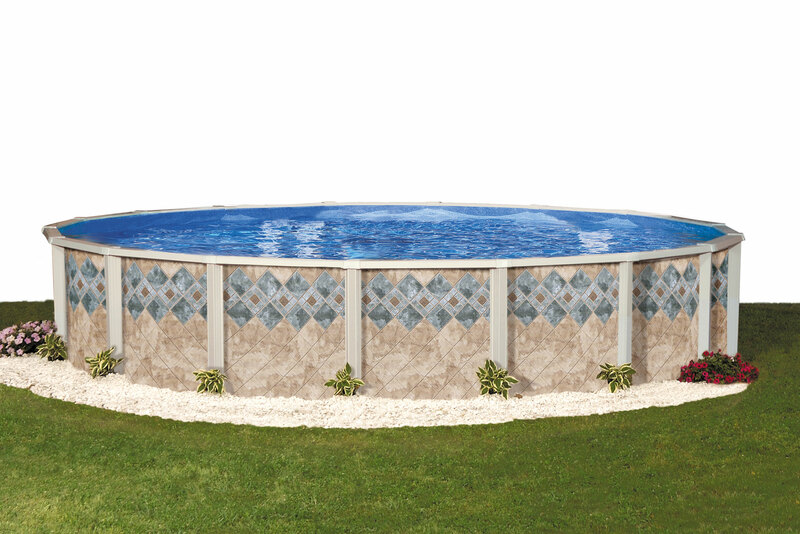 This eye-catching design looks great as a 52″ above ground pool, yet is strong enough to be buried. Contemporary-looking, 7” verticals combined with super-wide 8-1/2” resin top rails provide rock-solid stability and durability. 52” side walls are strong enough to be buried. 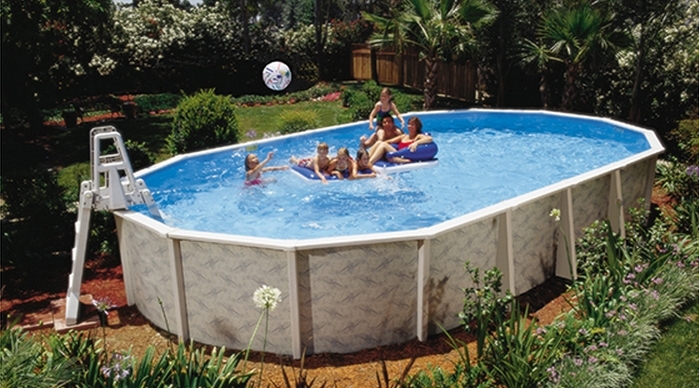 Zagers has these Doughboy pools in stock, but we can order any model on the Doughboy website. 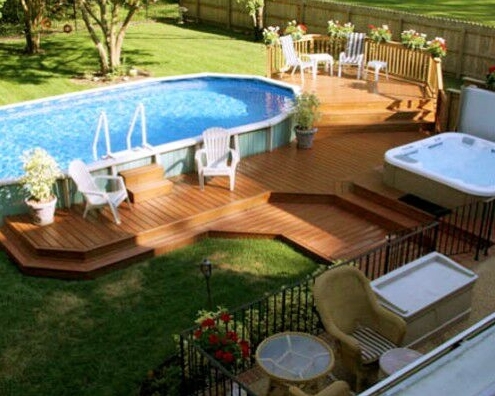 All Doughboy pools feature a manufacturer's warranty on all components! Your pool will last longer as it glitters in the sunshine with the right above ground pool liner. Only Doughboy’s True Expandable Liners are designed to expand smoothly into a deep swimming area for more underwater fun – up to 7-feet deep! 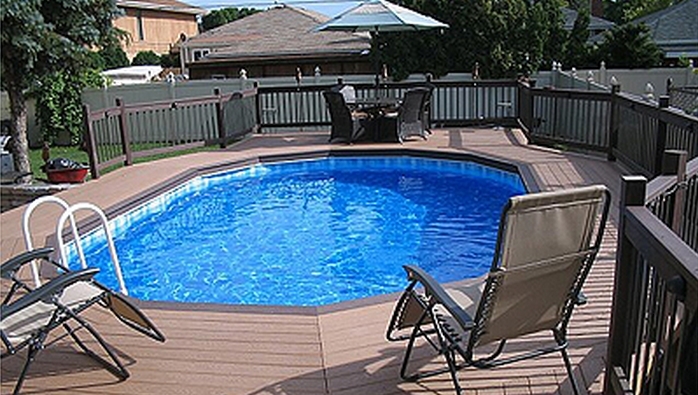 Zagers offers several in-stock pool liners, or can custom order any liner you wish! Read The Truth About Doughboy Liners on our Blog. As the local, premier dealer of Doughboy Pools, Zagers outshines other pool dealers in every way! Our experts have helped families get the right pool at the right price for over 50 years. Zagers makes pool installation easy too! From preparing the ground, to filling it up completely with water, we take care of everything. Stop by any of Zagers’ 5 West Michigan Locations to see them in action! Each of our stores has an outdoor courtyard filled with pools for easy side-by-side comparison. Contact us today for more information.